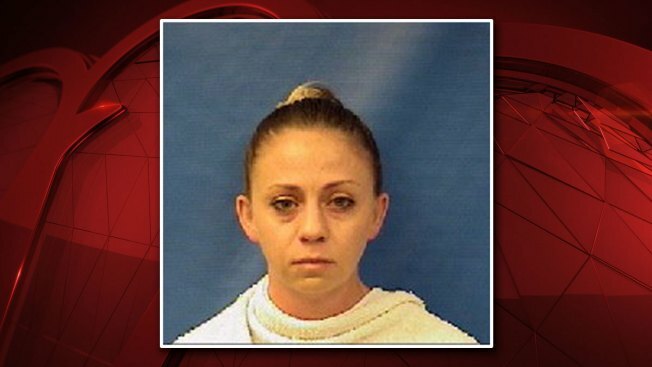 Texas Rangers arrested the Dallas police officer accused of fatally shooting Botham Jean inside his own apartment Thursday night and charged her with manslaughter. The Dallas County Medical Examiner's Office ruled Jean's death a homicide with a gunshot wound to the chest and abdomen. Dallas Police Officer Amber Guyger, 30, was arrested Sunday at 6:37 p.m. after she surrendered in Kaufman County. Guyger posted $300,000 bond and was released Sunday night before 8:30 p.m., the Kaufman County Sheriff's Office said. The Dallas Police Department requested that the Texas Rangers conduct an independent investigation of the Thursday night shooting, Texas DPS said. The warrant for Guyger's arrest was issued after the investigation by the Texas Rangers, in coordination with the Dallas County District Attorney's Office. At about the time of the arrest, attorneys working with the Jean family held a press conference after meeting with Dallas County District Attorney Faith Johnson. At the time of the press conference the family's attorneys were not under the impression that the officer had been arrested. Attorney Lee Merritt would not specify, but said the attorneys brought forward new evidence Sunday that could change the course of the investigation. "We brought forward a witness and video evidence, and again we can't get into the content thereof, but the prevailing narrative is challenged by the evidence that was presented today," Merritt said. Family attorney Benjamin Crump, who has been involved in high profile shooting cases, including Tamir Rice and Trayvon Martin's deaths, said they demanded that authorities treat the officer as they would any other suspect. "[Jean] went to his grave not knowing why a police officer came into his apartment and shot him. Let that sink in," Crump said. "He went to his grave not knowing why the police officer came into his door and shot him. And so the family has many questions for the authorities. The main one is that this police officer should not be given any preferential treatment." Crump said Jean was shot in the chest. He said Jean's mother, Allison, made a direct plea to the district attorney. "[Allison Jean] bared her heart that another day would not go by with the killer of her child being free," he said. Following Guyger's arrest, Dallas Mayor Mike Rawlings issued a statement. "I am grateful to Dallas Police Chief Renee Hall for her leadership and foresight in calling for the Rangers to handle the investigation to ensure there was no appearance of bias," Rawlings wrote, before asking for prayer for Jean's family. Dallas police said Guyger has been with the department for four years and is currently assigned to the Southeast Patrol Division. Hall said police were notified of an officer-involved shooting at the South Side Flats apartment building just before 10 p.m. Thursday — the building is about one block away from the Dallas Police Department Headquarters south of downtown. Earlier Friday morning, Dallas Sgt. Warren Mitchell said Guyger was heading home after working a full shift when she mistakenly entered a neighbor's apartment and was confronted by a man, identified by the Dallas County Medical Examiner's Office as 26-year-old Botham Shem Jean. Guyger then called 911 to report an officer-involved shooting — minutes later, Hall said, officers and EMS with Dallas Fire-Rescue arrived and began to treat the victim. Jean was transported to a hospital where he was later pronounced deceased. The Dallas Morning News reported an anonymous law enforcement official said Guyger entered Jean's apartment because the door was unlocked. Many residents told NBC 5 they chose to live at the complex because they believed it was safe. They said keyfobs are needed to access each floor, but that doors do not automatically lock when closed.